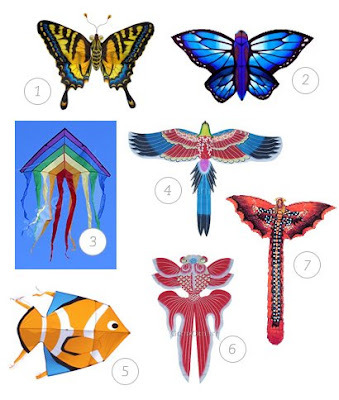 I'm very much into kites these days, and some online browsing led me to some beautiful designs. In all honesty, my three-year-old is perfectly content with his $5 Spider Man kite. But I like to daydream about going on a picnic lunch date with my husband and sending one of these into the sky. Then taking the longest nap ever known to mom-kind. I got my eye on the Chinese kites made of bamboo and silk. What pretty kites!! In the last year, my husband and I have rediscovered how therapeutic kiting is. I love it. I'm quite the kite lover myself. In fact so much so i have a little collection built. Check out ebay for some great kite finds. So pretty! We've been into kite-flying this spring too, and are also using a Spiderman one per our three-year-old's request. These are gorgeous! I am really pleased with the fairy kite we got at Costco for 12.99. I love watching her long legs flap in the breeze.